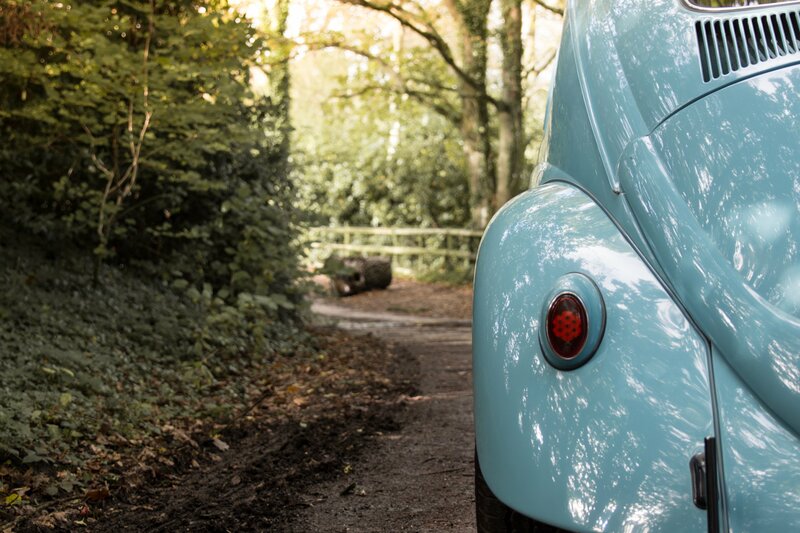 Anyone with an ounce of taste can appreciate the iconic silhouette of a Volkswagen Beetle. Aside from the obvious, it is arguably Dr Ferdinand Porsche’s finest work and notwithstanding its questionable origins, it remains one of the finest pieces of industrial design the world has ever seen and an enduring mode of transport for many. 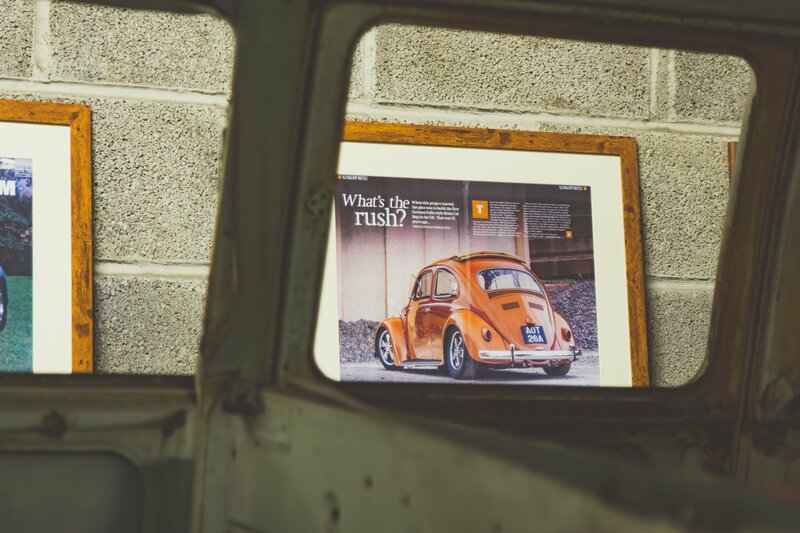 “I fell in love with Beetle at a young age,” explains Rob Gwinnett, AKA Dr Ferdinand and the man carefully restoring some of Volkswagen’s finest gems. “A lot of my early life was spent at the beach and I remember seeing a few cool older kids with Beetles, surfboards on the roof, unique paint jobs. I just knew I had to have one,” he adds. 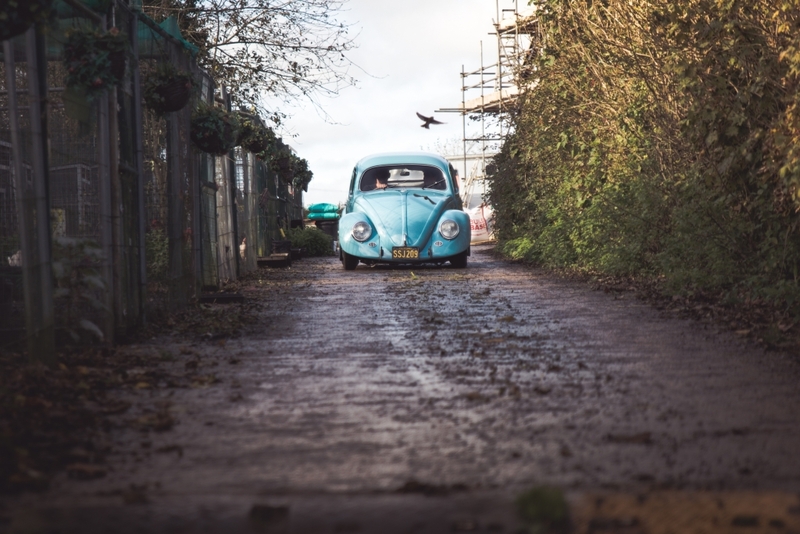 Rob’s first real foray with restoration came when his father purchased a rare 1957 Oval Window Beetle with a view to getting it back on the road. 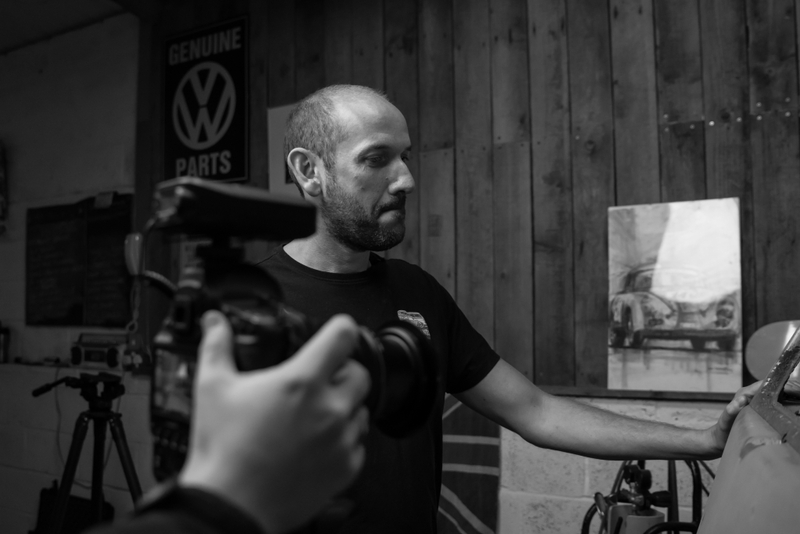 “I’d always watched my dad working on old cars but I think this was the first time he really trusted me to actually pick up the tools and help out,” he explains as we take a tour of Rob’s workshop. Nestled deep in the Dorset countryside, the farmyard unit is long, thin and brilliantly gloomy. 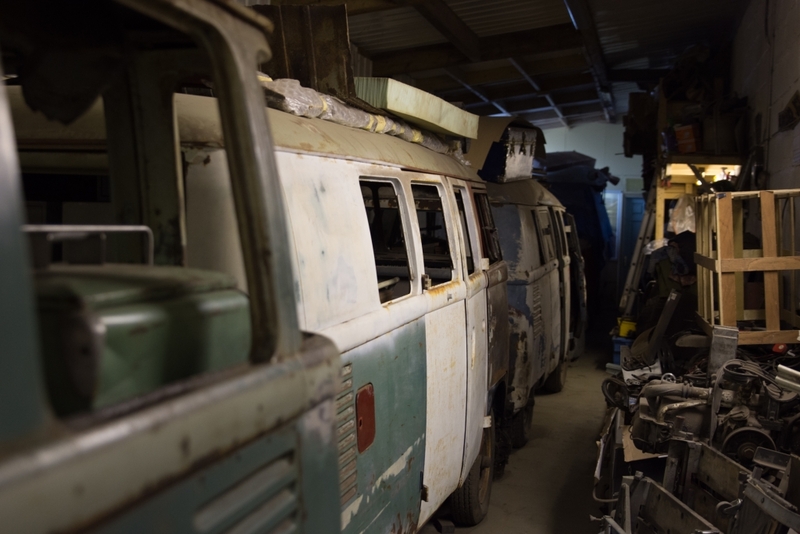 The site is the perfect shape for the enormous VW buses that Rob regularly works on, many of them just shells waiting to be transformed into rolling works of art. Rob’s brilliant blue Oval Beetle sits outside, slammed almost to the floor with blazing chrome Porsche rims, it’s very difficult to ignore. 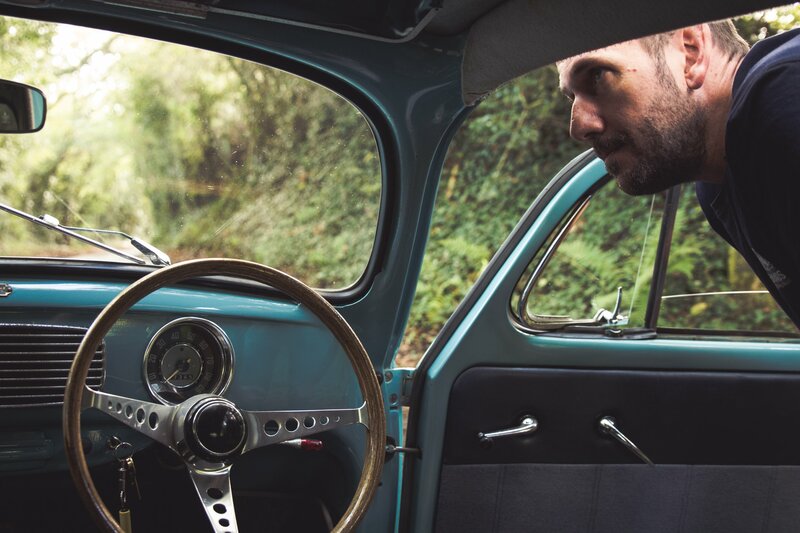 “The car was my daily ride for years, ” Rob explains as we have a closer look at the interior. “My dad gifted it to me as a present once it was finished and I went everywhere in it, even commuted on a daily basis. But I recently had to retire her as the daily grind was running her into the ground,” he explains. 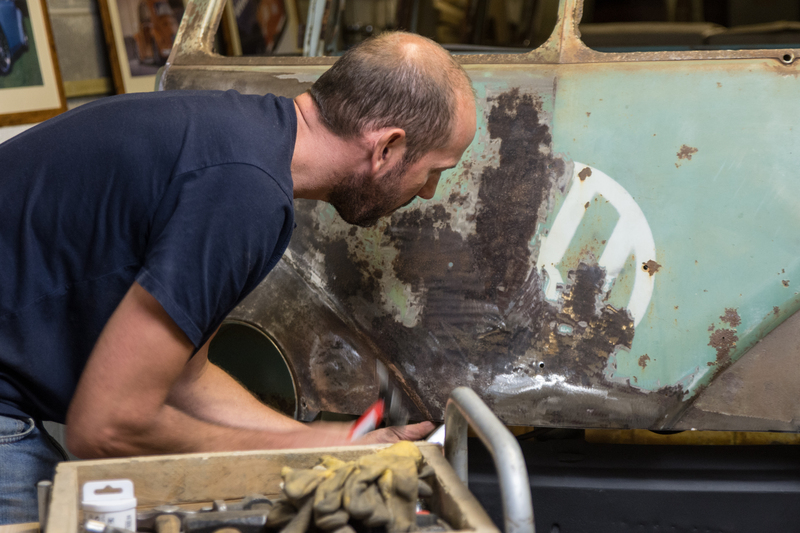 Dr Ferdinands is a unique proposition in so much that Rob believes in keeping and protecting vehicle patina, rather than covering every imperfection with glossy paint. “I’ve created stunning examples that look immaculate,” he says as he shows us a former 1960 Riviera Camper restoration that looks like it would clean up in any concours d’elegance competition. “But I love the projects where the customer agrees that the vehicle should tell a story. The dents and faded paintwork prove that it has lead a full life and we want to preserve that,” he adds. 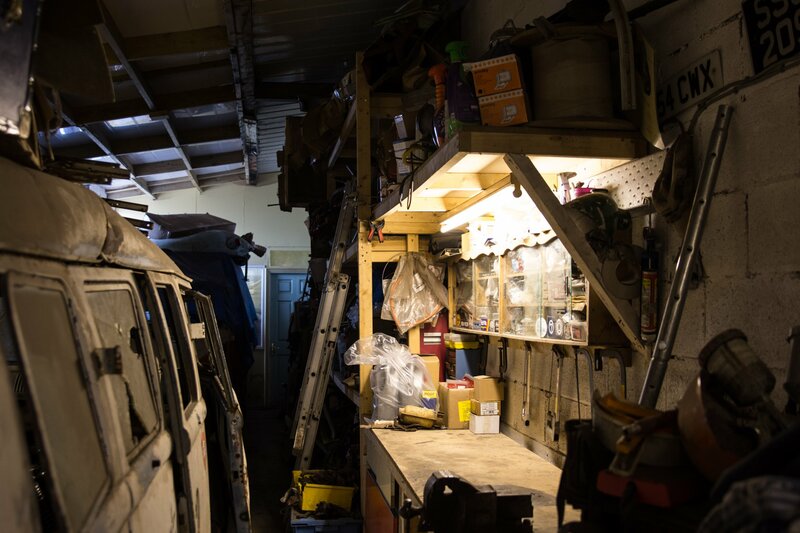 Look beyond the current projects and the restoration shop represents beautiful chaos: there are racks of spare parts, carcasses of vehicles in all states of repair, dustsheets provocatively covering extra special projects and camper vans that act as additional storage. If you have any knowledge of old Volkswagens, it would be like entering the most mind-blowing garage sale in history. In fact, we notice that one of Rob’s own buses contains a Honda CB200 and the beginnings of a rather attractive Honda CG scrambler venture. The man has fine taste. 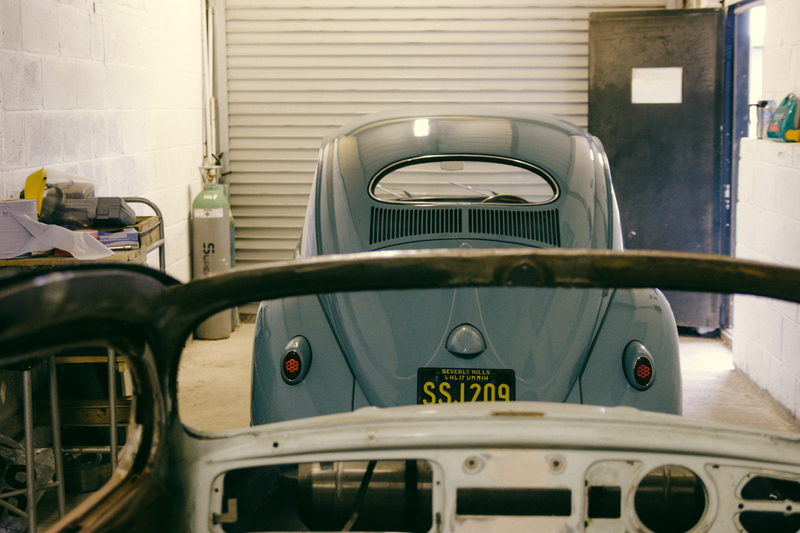 But the former air conditioning engineer is currently too busy to dwell on personal projects, with numerous builds currently in development, including a gorgeous Beetle that is undergoing a convertible retro-mod that will bring a little slice of California cool to the south coast when it’s finished. “I never thought I’d actually see the day where I could give it all up and focus on what I love doing but I’m glad it’s happened,” Rob says. We’re glad too Rob, because there’s no question that the roads are a brighter place thanks to the work of Dr Ferdinands.